What is the New York Automobile Insurance Plan (NYAIP)? As a no-fault auto insurance state, auto insurance providers are required to cover the cost of medically related injuries and damages that occur in the event of an auto accident, no matter who is responsible for the accident. The No-Fault Law was enacted in New York in 1974. The purpose is to expedite the compensation injured drivers, passengers, pedestrians, and bicyclists received in the event that they are injured in an accident by delaying lengthy legal proceedings and costs. While the idea behind no-fault auto insurance is certainly a good one, not all drivers will be able to obtain a policy within the voluntary insurance market – particularly if they are high risk drivers. Why? – Because insurance companies perceive high risk drivers as a threat, which means that there is an increased risk that the insurer will sustain a loss. Insurance coverage is a legal requirement in the state of New York. So, what can motorists who are unable to obtain a policy through the voluntary insurance market do to get the coverage they need? – They can apply for coverage through the New York Automobile Insurance Plan (NYAIP). 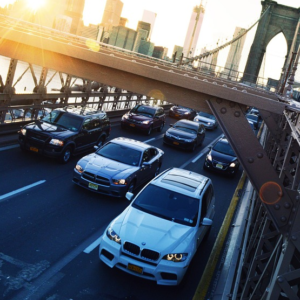 The New York Automobile Insurance Plan (NYAIP) was designed to enable individuals who are considered at-risk drivers and are unable to obtain insurance coverage through the voluntary insurance market. Through this program, motorist are assigned an insurance carrier on an involuntary basis. All insurance companies that operate in the State of New York are required to participate in NYAIP, and as such, they must provide coverage for the motorists that are assigned to them. In order to receive coverage via NYAIP, motorists are required to provide proof that they are not able to receive a policy within the voluntary insurance market, and that proof must be within 60 days of applying. Once coverage is provided through the NYAIP program, insurance providers must cover those that they carry for a minimum of three years. Drivers that any of the above apply to are considered high-risk because there is a greater chance that the insurance company will suffer a loss for insuring them. In other words, they will more likely have to pay out claims that are filed against the driver, which results in a loss of profit for insurance companies. As mentioned, motorists are required to provide proof that they are unable to receive coverage in the voluntary market for the past 60 days. Upon providing such proof, they will be enrolled in the New York Automobile Insurance Plan, which places them in a pool. Those who are in this pool are distributed to insurance providers at random according to a quota system. Also as state, all insurance companies that operate in the State of New York are legally obligated to participate in the NYAIP program. They are also required to offer coverage to a specific amount of drivers within the residual pool, as per their market share. For instance, if State Farm has 10 percent of the market share in New York, 10 percent the NYAIP residual pool will be assigned to the company. It is important that motorist understand that insurance coverage under the New York Automobile Insurance Plan is usually more expensive than policies that are offered in the open insurance market. That’s because it costs insurance providers significantly more money to cover these at-risk motorist. As such, drivers should consider getting insurance through the NYAIP a last resort. With that said, on average, drivers can expect to pay double the amount for insurance under the NYAIP program than they would with a policy in the voluntary insurance market. How do I pay my monthly payment for the New York Automobile Insurance Plan? I have insurance but I don’t know which website I use to send money so I can keep my car on the road. Please help. !